Singapore dwarf plumeria (Plumeria obtusa) is an attractive, medium-sized shrub or small tree that can reach heights of around 25 feet, according to the University of Florida. 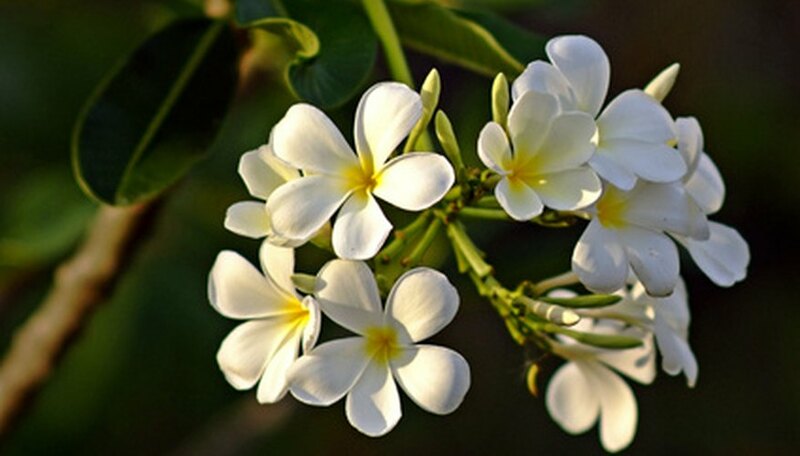 Unlike some species of plumeria, the Singapore dwarf, which features fragrant, creamy white or pink flowers, is evergreen. For that reason, it is highly desirable and grows equally well when planted in the ground or when grown in a container as a patio or specimen tree. Plant your Singapore dwarf plumeria in a location where it will receive full sunlight or morning sun with dappled afternoon shade. This tree flowers best if exposed to at least six hours of sunlight per day. Note that this tropical tree, which is native to the Bahamas, can only be grown outdoors in USDA growing zones 10B through 11, according to the University of Florida. Freezing temperatures will kill the plant. Choose a planting site that contains well-draining soil. While this plant will tolerate a wide range of soil types, from sandy to acidic, it will not tolerate very wet conditions. Avoid areas that flood or tend to collect standing water, and place the plumeria where the soil will quickly drain after watering. Water the tree when the top few inches of soil dry out. Use a stick to test the moisture level of the soil, or insert your finger into the ground. While the tree is drought tolerant, according to the University of Florida, it will still benefit from regular waterings. Watch for insect pests such as scale, soil nematodes and frangipani caterpillars. Treat the tree with an insecticidal spray if you notice insect infestation or damage.